One of the big questions most parent have when it comes to video games is, what is my gamer playing? I am starting a series of articles to answer this question. I will layout the big games out there and let you know what they are all about. Today, I am starting with one of the biggest ones. Minecraft. 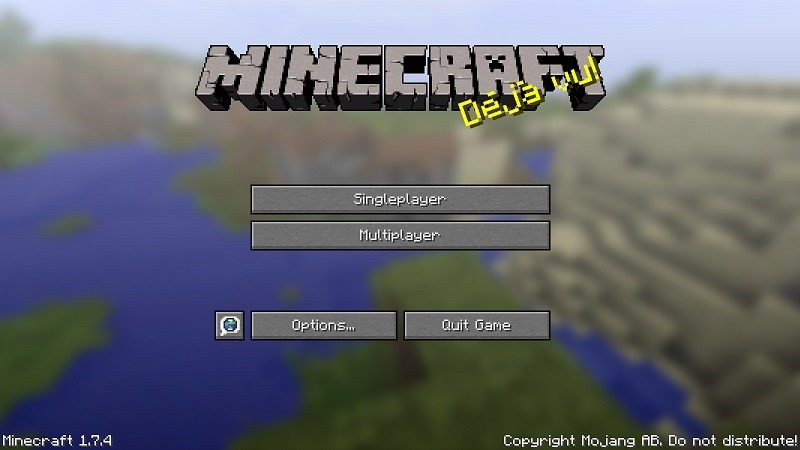 Minecraft was originally developed by Markus “Notch”� Persson, who later founded Mojang. It was released for PC in an early alpha stage on May 17th, 2009. Steady improvements were made until the official release on November 17, 2011. It has since been released on the Xbox 360, PlayStation 3, iOS, and Android platforms. 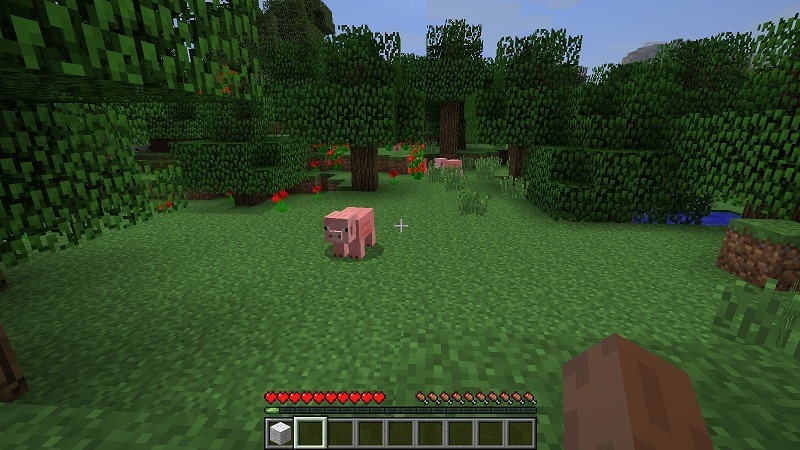 Minecraft is an open-world, sandbox game that can be played from either the first-person or third-person perspective. It consists of two modes, Survival and Creative. 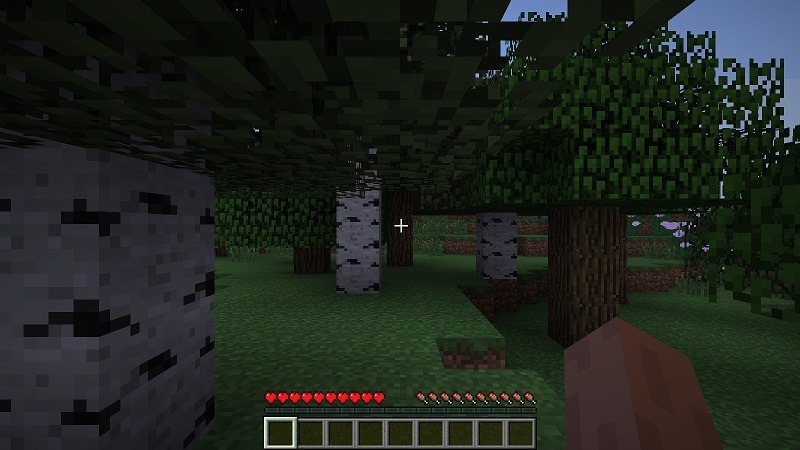 In Survival mode, the player starts in a randomly generated world with no items. They gather resources by chopping down trees, digging up dirt, and killing animals, among other things. Those resources can be placed in the world to build structures or combined to create tools, such as a pickaxe or shovel. You can see two distinct meters in this screenshot. The hearts on the left represent health. The meat on the right represents hunger. The health meter is depleted by a number of actions, such as monster attacks or falls. The player dies when the health bar is completely depleted. Upon death, the player respawns at their original starting point and loses the materials they were carrying. The hunger meter depletes as the player performs actions, such as chopping down trees or killing animals. It can be replenished by eating meat obtained from animals. When it is completely depleted, the health bar will begin to deplete slowly. The health bar will slowly replenish when the hunger bar is near full. Survival mode also includes a distinct day/night cycle. The monsters spawn in dark places, which makes the night time very dangerous for a new character. The player must build a shelter during the day to be protected from monsters at night. The creative mode allows the player to build without worrying about survival. They can fly around the world, do not take damage, and have access to most resources without having to gather them. It basically acts like a virtual LEGO� set. Minecraft has sold over 14 million copies. And yet, it is not your typical big budget game. It does not have cutting-edge graphics or a griping storyline. Everything is a made up of square blocks. So what is it about Minecraft that has everyone playing? In a word, creativity. Minecraft lets player create anything they can think of out of the resources they gather. These creations can then be shared by emailing the save file back and forth. It also allows for multiplayer servers, where players can build something together. Players have created some amazing things in Minecraft. For example, one group of players recreated King’s Landing from Game of Thrones. According to their post on reddit, it took about 100 builders a little over 4 months to build. That is a crazy amount of work and coordination. Your gamer is probably not going to build something that huge (although they could). But they can build cool things and share them with their friends. That is what makes Minecraft so great. Should you be concerned about anything? The PlayStation 3 and Xbox 360 versions of Minecraft are rated E10+ with a descriptor of “Fantasy Violence”. While the other versions (PC, iOS, and Android) do not have a rating, their content is the same. The content of Minecraft is not something that should concern you. However, you will still want to pay attention to what your gamer is doing in it for 2 reasons. It has a multiplayer component. The ESRB does not include multiplayer in its rating system. They cannot hold the developer accountable for what players do inside their game. It is possible that your gamer will run into some unsavory characters when they play on other servers. You will need to use the same precautions for Minecraft that you use for any social media applications. When I say players can create anything in Minecraft, I do mean anything. The truth is there are many immature people on the internet. It is not impossible for your gamer to download a map that has images you do not want them to see. Most of the time they will be fine. But you need to understand the possibilities. How do you connect through Minecraft? My goal is not just to give you information about video games but to help you connect with your gamer through them. Here are a couple ways you can do that through Minecraft. Talk to them about it. Here are some questions that will not only help you connect but can also help you keep tabs on what they are doing. Do you play on a server with your friends? Have you built anything cool with your friends? What is the most amazing thing someone has built in Minecraft? What cool sites are there about Minecraft? Play with them. I strongly believe in the power of playing with your gamer. Minecraft is a great game for this. You can create a server in creative mode so you do not have to worry about dying. Then it is just a matter of coming up with something cool to build and building it together. Do not worry if you do not know how to set this up. Get your gamer to show you.